MISSOULA — Southern Utah’s Zach Larsen has to be vocal as the center on the offensive line who makes the calls and checks. But he felt like he couldn’t be verbal outside his position group last season despite being a captain who would earn All-American honors. That’s changed this year. Larsen’s leadership has been needed more than ever. The reigning Big Sky Conference co-champs lost their starting quarterback, have had minimal production from their preseason All-America tight end and are in the midst of an unexpected 1-7 start as the Montana Grizzlies head to Cedar City, Utah, this Saturday for a 1 p.m. kickoff. 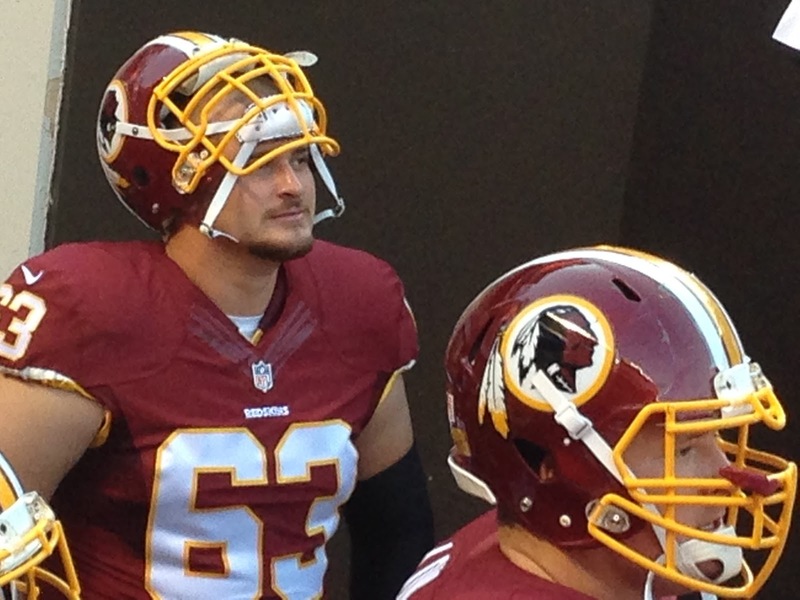 Larsen didn’t waste time in taking on the role as a voice of the team. He called his first players-only meeting in a classroom on campus following a shocking loss in the season opener to North Alabama, a team making its Division I debut. “He’s just responsible, holds guys accountable,” Southern Utah head coach Demario Warren said. 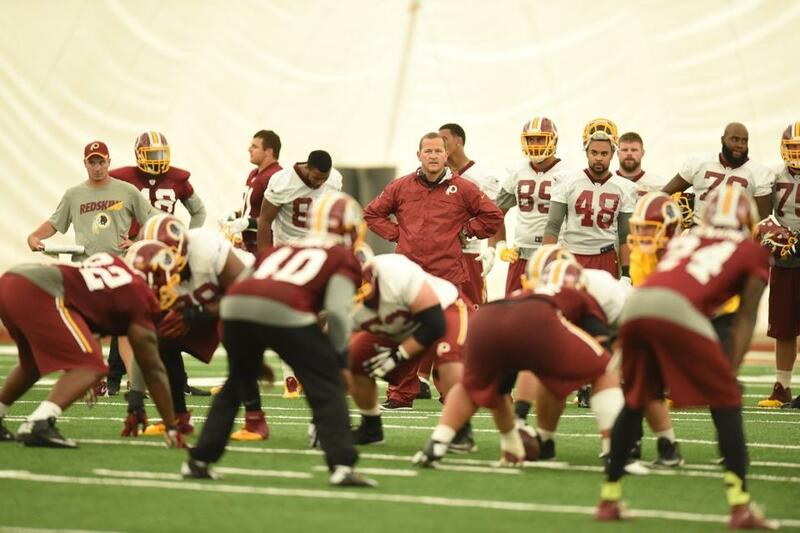 “He’s been calling team meetings to keep the team together. Larsen has seen how much hard work and dedication can pay off. 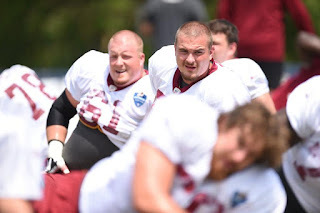 His brother Tyler Larsen is the Carolina Panthers’ center, and another brother, Cody Larsen, got a shot in the NFL on the offensive line after going to Southern Utah. At 6-foot-1, Larsen doesn’t have the height his brothers do at 6-foot-4. He makes his impact with his attention to detail and consistency, in addition to his newfound voice. Larsen prides himself on being a physical player up front. He’s worked on his footwork and technique as a blocker. 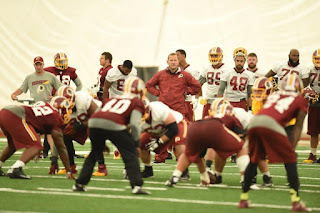 Mentally, he’s focused on recognizing blitzes quicker and making adjustments at the line based on looks from the defense. 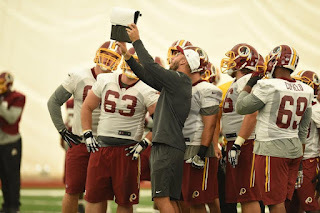 As an offensive lineman, there’s no individual stats for him to hang his hat on. There are awards, though, and he was named a Preseason All-American by HERO Sports and Athlon Sports. That came after a sophomore season in which he made the STATS FCS All-American Third Team and was a Phil Steele FCS All-American and a HERO Sports Sophomore All-American. The awards are nice, but Larsen is driven by a desire to win as a team. 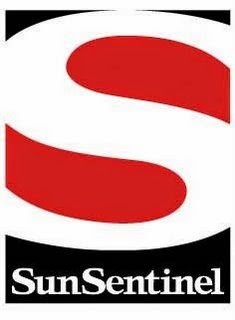 That’s where the newfound leadership comes into play. 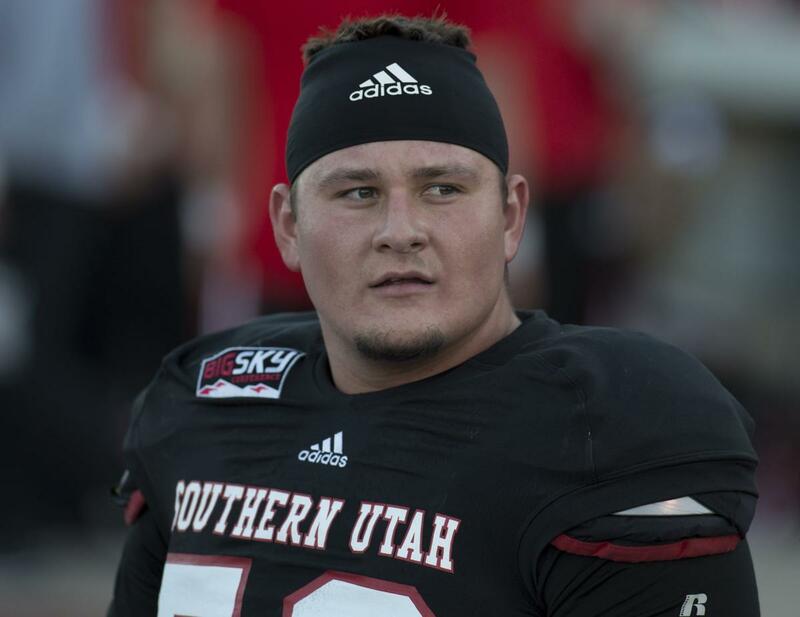 Southern Utah’s offensive line is the strength of its team with five upperclassmen, including three fifth-year players. Four of them have started all eight games: Larsen, senior left tackle Tucker Marquez, senior right guard Austin Mikkelson and junior right tackle Josh McMillin. Redshirt junior left guard Josh Anderson has started in four games and played in all eight. The group will be going up against a Montana defensive line than Larsen said moves around pre-snap more than any FCS team they’ve played. But those hits can’t keep Larsen from talking. The door of opportunity has swung wide open for freshman center Zach Larsen. When offensive linemen Keyan Norman and Andrew Eide opted to finish their college careers at BYU, the T-Birds were left with some pretty big holes to fill up front. 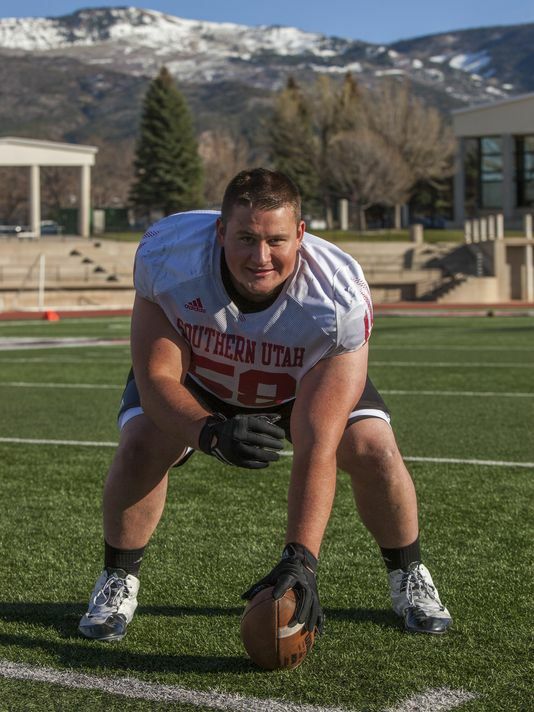 And with his size, his mind and his pedigree, SUU coaches are already getting excited about what he is bringing to the Thunderbirds' offensive line. 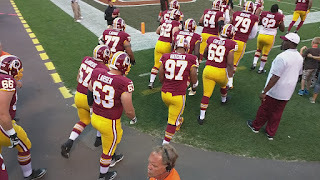 Tyler Larsen is a long-shot to make the roster as a reserve C/G. Can he show enough tonight to stick around? Height: 6'4", Weight: 313 lbs. #1. 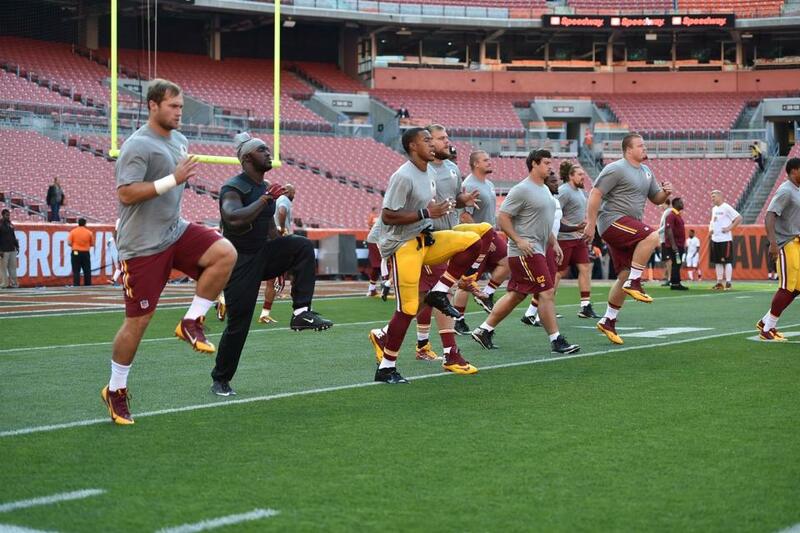 Tyler's brother Cody also happens to have experience as an NFL lineman. 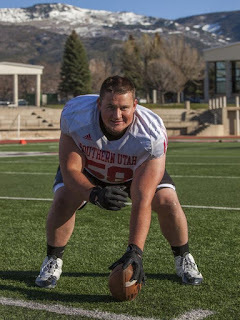 Cody is a DL who played at Southern Utah. He's three years older than Tyler, but only one year ahead of him in the football world after taking a two-year church mission trip, and after spending time with the Ravens and Broncos, he's currently a FA. #2. Tyler was very impressive at the NFL Combine last year, specifically in the bench press where he finished tied for second with 36 reps! 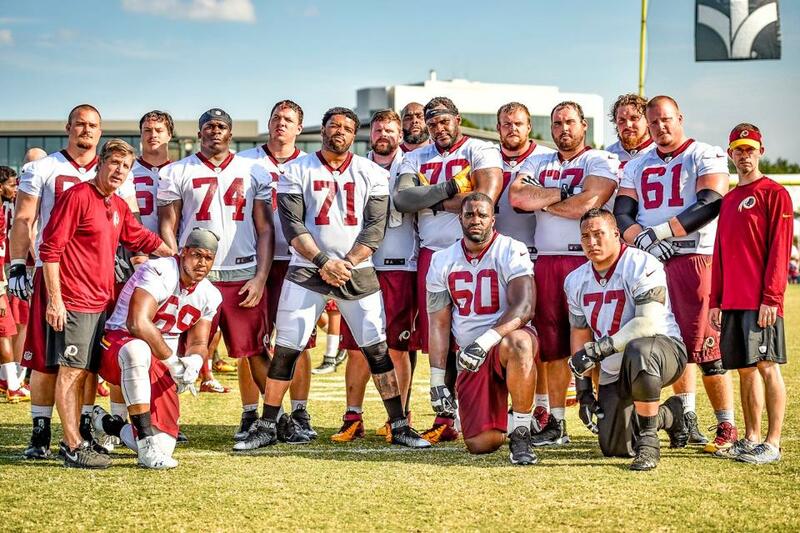 The only player with more reps was UNC OL Russell Bodine who managed 42 reps! #3. 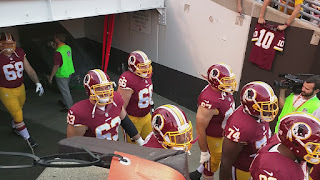 Ty Nsekhe was signed by the Redskins on the same day as Tyler in February this year shortly after the end of the 2014 season. 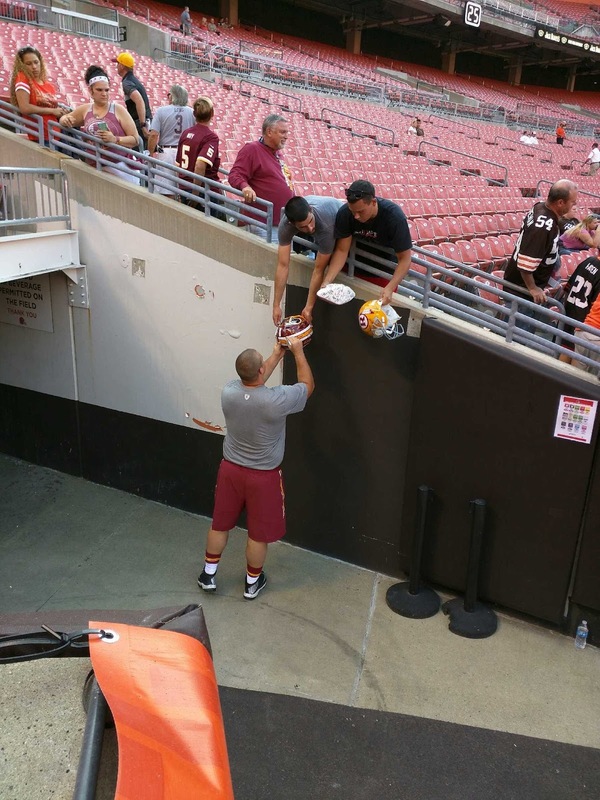 Those two signings were the first two transactions the Redskins made with Scot McCloughan as GM. #4. 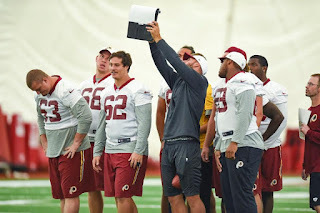 After pretty much exclusively playing C over the course of his college career and during his brief stint with the Dolphins, Tyler has mostly been playing G on the third team with the Redskins while Austin Reiter has been learning the C duties. #5. Tyler comes from a big family and is one of six siblings (three brothers and two sisters). His wife, Samantha, was a softball player at USU. They've been married for ~2.5 years now. Tyler graduated with an interdisciplinary studies degree emphasizing in health and wellness. Bottom Line: You can follow Tyler on Twitter @TylerLarsen58. 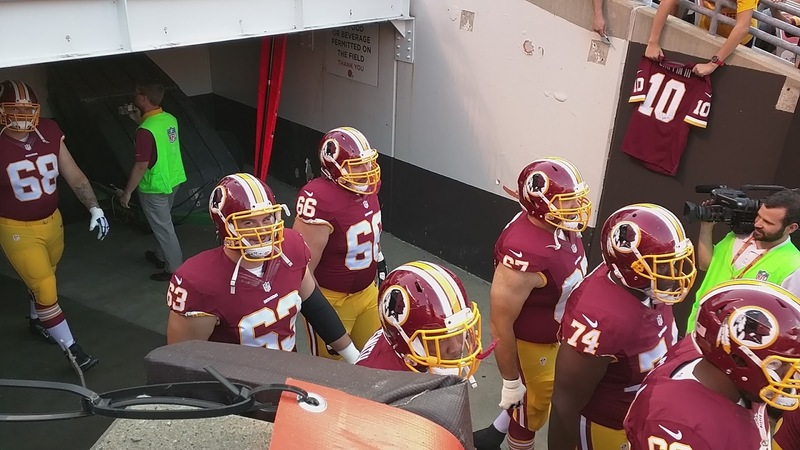 After not catching on with the Dolphins and switching to G with the 'Skins, Tyler needs a strong showing tonight against Jacksonville to have any chance at sticking with the team. 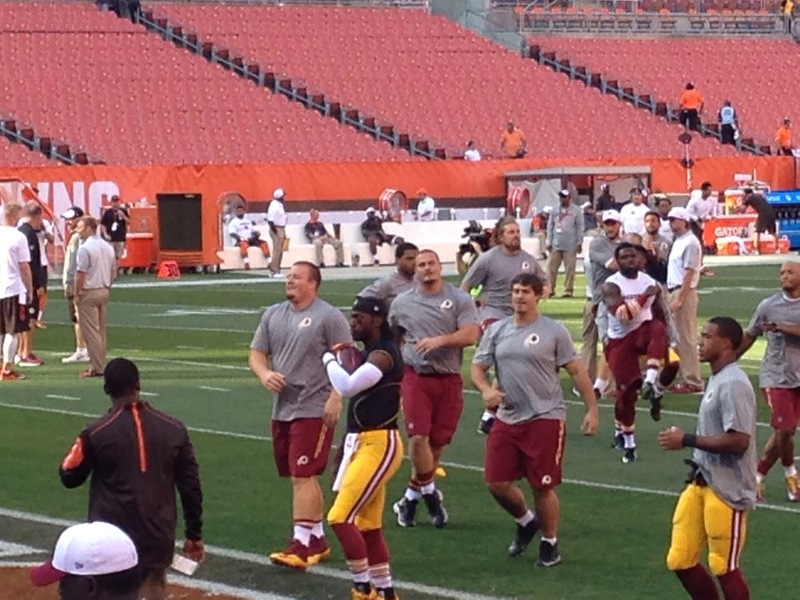 His best chance of being a Redskin probably comes from spending some time on the PS. 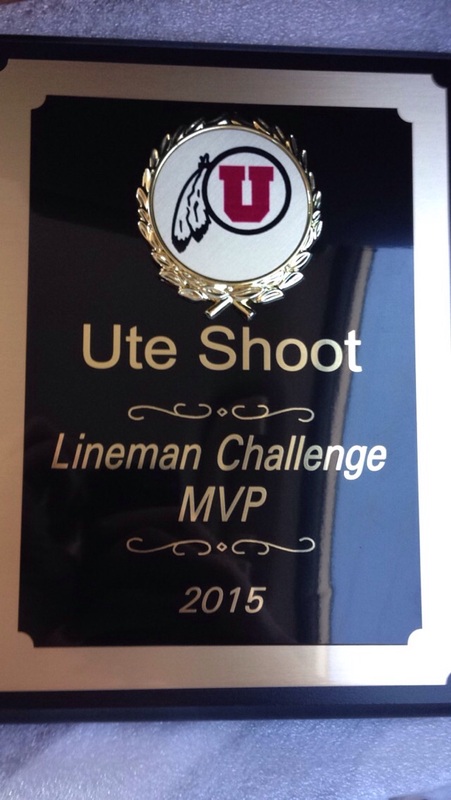 Collin Larsen awarded MVP in 2015 Ute Shoot Lineman Challenge. 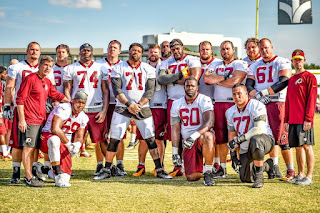 For more from the team, including exclusive videos, photos and written content, be sure to “like” the Redskins’ Official Facebook page. 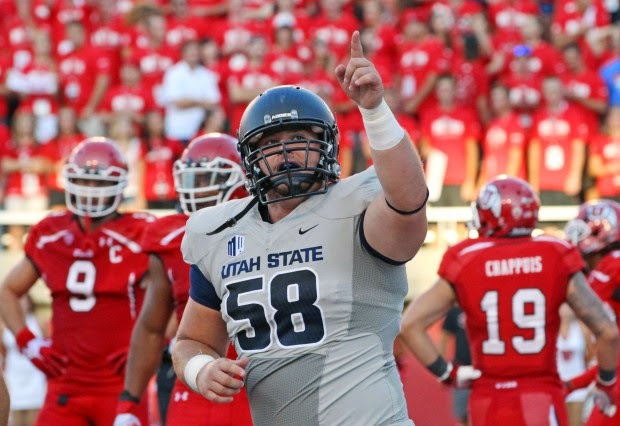 The 6-foot-4, 315 pounder went undrafted from Utah State in 2014, after he was projected to be a late round selection. 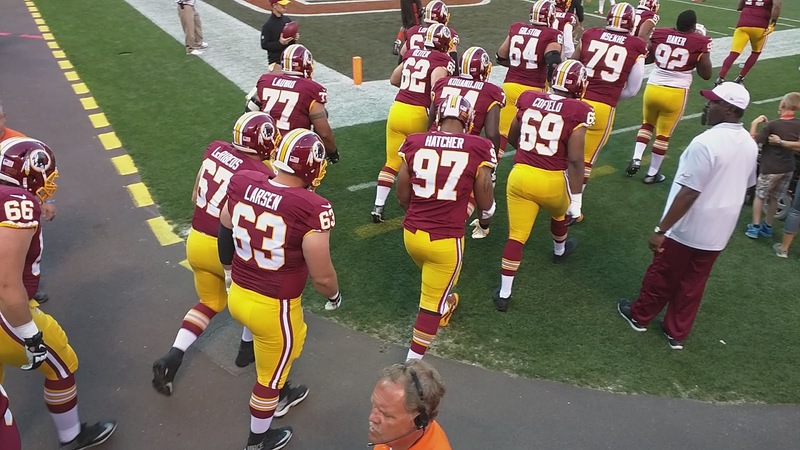 Now, signed by the Redskins today, Larsen will get another look. A native of Salt Lake City, Larsen played both offensive and defensive line for Jordan High School, earning first team all-state honors in a senior season that included six sacks and four touchdowns. 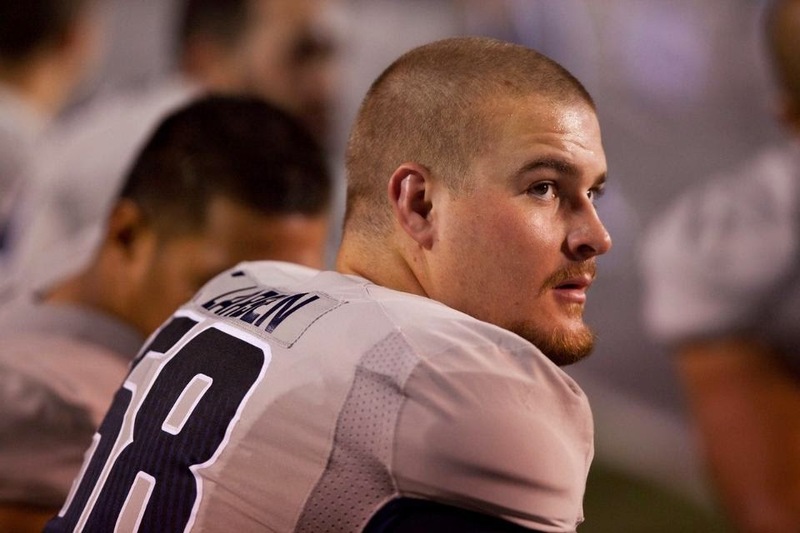 He played four years for the Utah State Aggies, starting in 52 straight games at center. His brother, Cody, followed a similar trajectory, signing with the Ravens in 2013 as an undrafted defensive lineman. It is worth noting that the videogame “Call of Duty” helped begin the couple’s relationship. A fellow Aggie football player, Bryce Walker, introduced the pair. Larsen was picked up as a free agent at the beginning of Training Camp in 2014 by the Miami Dolphins but was waived during the team’s final cuts. 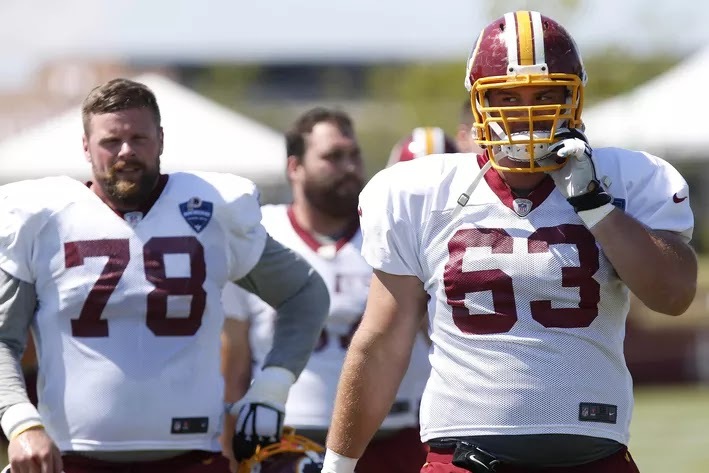 The Washington Redskins announced today that they have signed free agent offensive linemen Tyler Larsen and Ty Nsekhe . Larsen, 23, originally entered the NFL with the Miami Dolphins May 12, 2014, as an undrafted free agent out of Utah State. 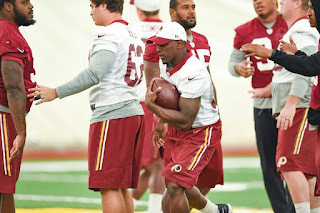 He was waived by the Dolphins Aug. 26. 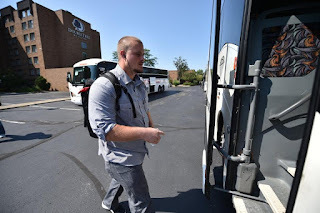 Larsen -- who stands 6-foot-4 and weighs 315 pounds -- was a four-year letterman at Utah State from 2010 to 2013, starting all 52 games in which he appeared. His 52 consecutive games started set a school record, ranked first in the Mountain West and third in the nation among active players at the time. In 2013, Larsen -- a Sandy, Utah native -- earned second-team USA Today Sports All-American honors and was named first-Team All Mountain West after starting all 14 games as a senior. He was also a first-team All-WAC performer in 2012. Nsekhe (pronounced "en-SECK-he"), 29, originally entered the NFL with the Indianapolis Colts as a free agent Aug. 1, 2012. He has since had stins with the St. Louis Rams and the New Orleans Saints. He made his NFL debut Sept. 16, 2012, as a member of the Rams against the Redskins, and played in one other game with St. Louis that season. Nsekhe began his professional career in arenafootball2 in 2009, and worked his way up to the Arena Football League from 2010 to 2012 before signing with the Colts. 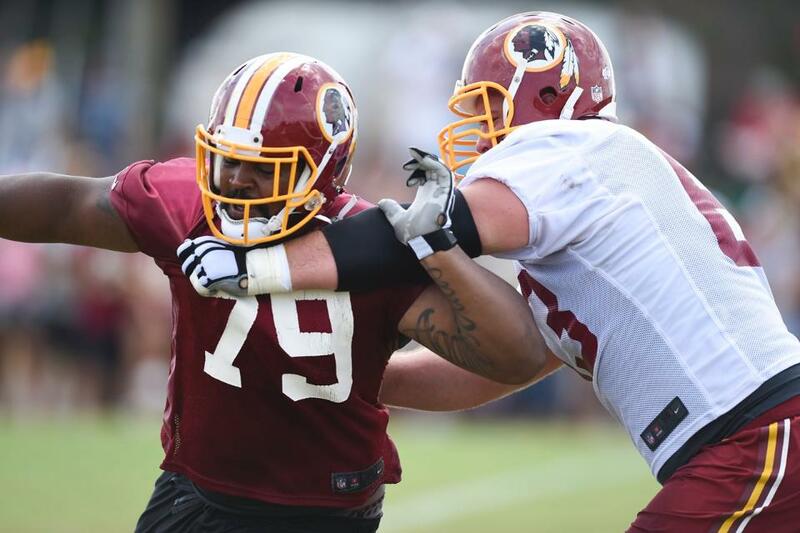 A Texas State product, Nsekhe attended Bowie High School in Arlington, Texas. Omar Kelly, Keith Turner Jr., and Chris Perkins on Tyler Larsen as they discuss Miami Dolphins training camp progress. 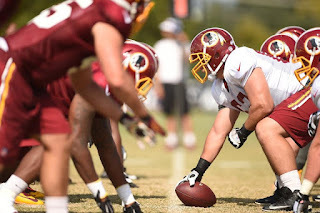 -- I'm watching Tyler Larsen work today & I've got to say he's been solid as the 3rd center. Why didn't he ever get called up to 2nd team?